This entry was posted in Joe's Service Center News. Bookmark the permalink. Pick Up or Drop Off your UPS packages with us and never worry about packages left outside your door! UPS Services: Ground, Air, Staffed Location. Call for current Pick Up and Drop Off times. 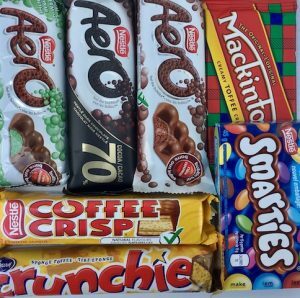 BUY CANADIAN CANDY in BUFFALO! We sell your favorite Canadian candy: Aero Bars, Coffee Crisp, Crunchie, Mackintosh Toffee, and Smarties! Pick up/Drop off at your Work or Home while your car is fixed.